With a stay at Concordia -Hospedaje y Servicios in Cochabamba, you'll be within a 5-minute drive of Martin Cardenas Botanical Garden and Iglesia de la Recoleta. Featured amenities include dry cleaning/laundry services, a 24-hour front desk, and luggage storage. Free self parking is available onsite. With a stay at Landscape - International Hostel ® in La Paz, you'll be within a 15-minute drive of San Francisco Church and Plaza Murillo. 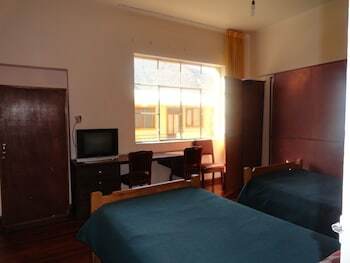 Located in La Paz, Tinka is within a 15-minute drive of Hernando Siles Stadium and San Francisco Church. Featured amenities include a 24-hour front desk and a safe deposit box at the front desk.